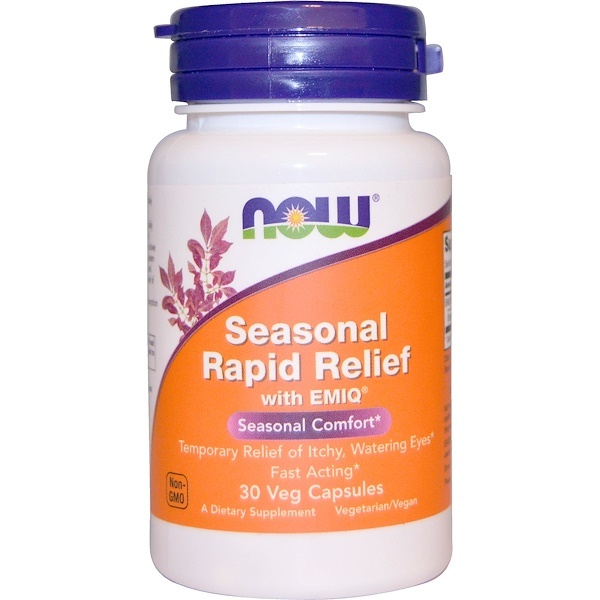 NOW Seasonal Rapid Relief features Enzymatically Modified Isoquercitrin, a clinically tested form of Quercetin with enhanced bioavailability. 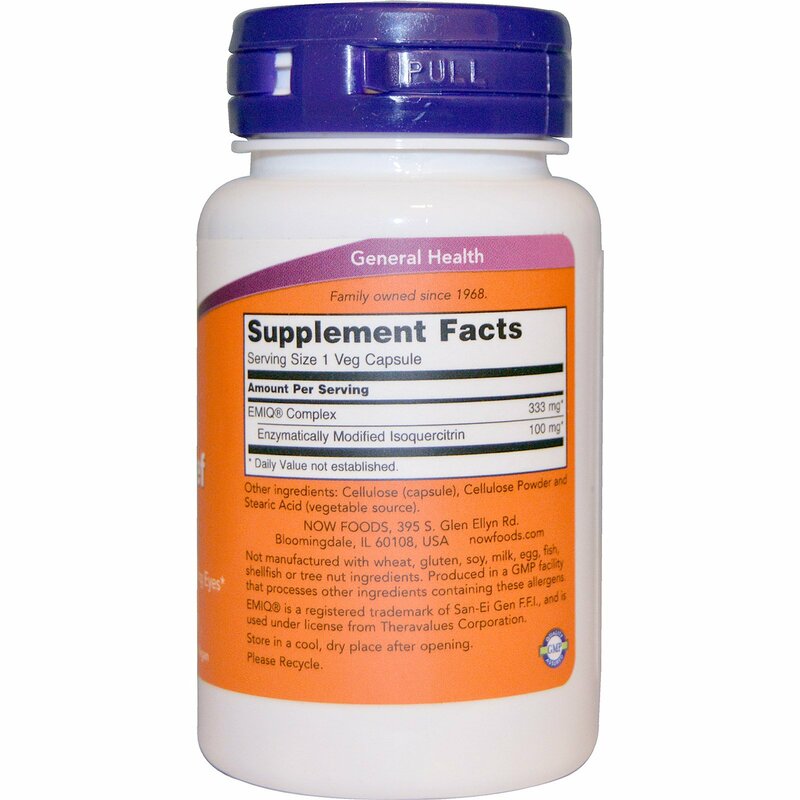 Studies have shown that it can support a balanced immune system response to seasonal or environmental factors and promotes ocular comfort through temporary relief of itchy, watering eyes. Enzymatically Modified Isoquercitrin exhibits up to 40 times greater absorption than Quercetin, and reaches it s peak levels rapidly - typically with in 30 minutes. Caution: For adults only. Consult physician if pregnant/nursing, taking medication (especially blood pressure medications and cyclosporin), or have a medical condition. Keep out of reach of children.